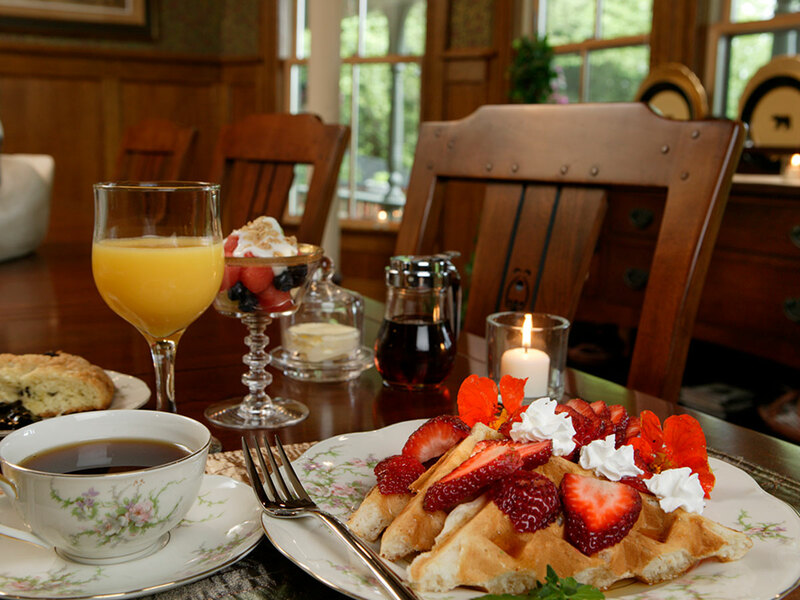 Served in our stunning Arts and Crafts inspired dining room, our delectable morning fare features homemade baked goods, fresh fruit, savory egg dishes, French toast and pancakes. The aroma of fresh brewed coffee wafts through the air. Sounds of classical music, the clink of fine china, and the sparkle of crystal add to the sensory experience. What an excellent way to begin the day! Please let us know, in advance or upon check-in, if you have any dietary restrictions and we will try to accommodate your request. The Keurig station in the dining room is available throughout the day and evening for your convenience. 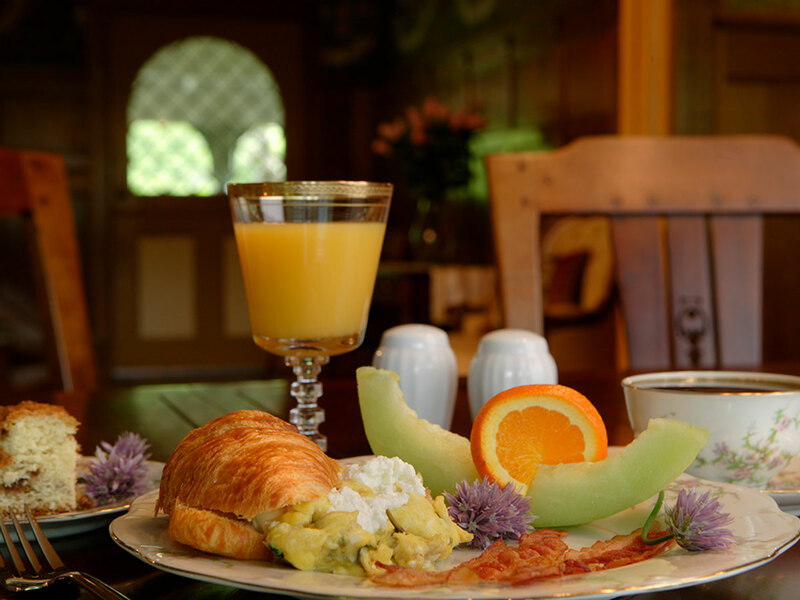 Breakfast is generally served between 8:30-9:30. 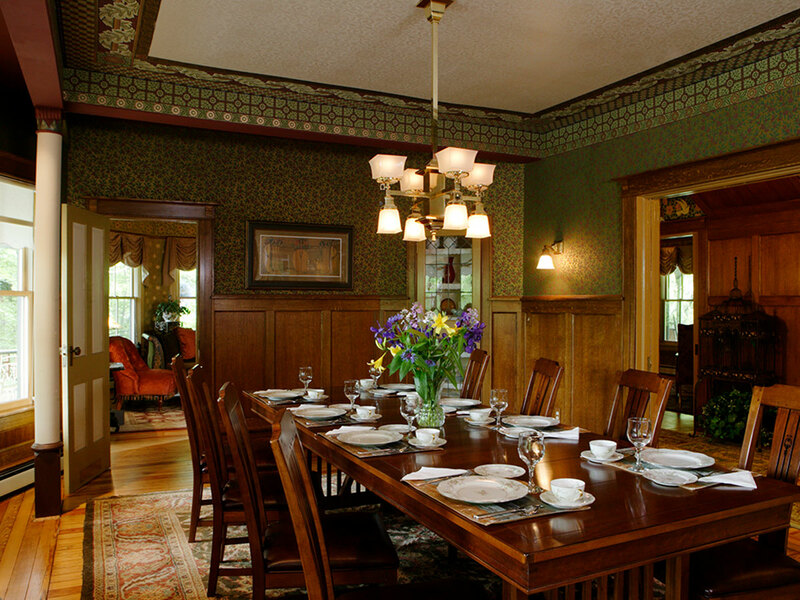 The best B&B in NYS, the breakfast alone is worth the stay.